Outdoor equipment is taken to mean all the indispensable, important and useful items required for hill walking, walking and camping outside. Depending on the use, outdoor gear is split into specific areas such as walking gear, trekking gear, camping gear and mountaineering gear. When camping, comfort is often the biggest consideration for your gear, while low weight and small pack size are important when you're walking, mountaineering or climbing. Many useful objects have versatile uses for camping as well as hillwalking and Alpine use. Size and design of the perfect rucksack depends on what it will be used for and the length of the trip. Lightweight daypacks, hiking backpacks and ultralight backpacks are perfect for day hikes or weekend trips. A larger camping backpack or backpacker rucksack offer enough space for extended trips. MTB backpacks and road bike backpacks sit particularly tight to the back and similarly to Alpine rucksacks are narrow and ensure good freedom of movement. Waterproof rucksacks and rain covers, which are used over the rucksack, guarantee a dry backpack even in heavy rain. Special kids' backpacks also offer colourful designs for smaller hikers as well as a great carry system. With a thick winter sleeping bag like from Ajungilak or a lightweight summer sleeping bag, the outdoor adventure can begin. As well as models for different temperature ranges and fills of either down or synthetic fibre, there are also sleeping bags of different shapes and for different uses. The most popular shapes are the egg-shaped mummy sleeping bag and the rectangular blanket sleeping bag. Ultra-light sleeping bags are the top choice for mountaineering and walking, because as well as having a low weight they can also be compressed and pack away small. They are also best suited as a travel sleeping bag. For additional insulation or as a lighter summer sleeping bag or hut sleeping bag, liners are highly recommended. There are both cotton sleeping bag liners as well as silk liners. Self-inflating sleeping mats are very comfortable and available in many different widths, lengths and thicknesses. The robust sleeping mats are ready for use very quickly and promise a comfortable night's sleep. Alternatively, for hikers and campers, Evazote sleeping mats are also available, made from comfortable and resilient foams. Sleeping mats for winter use should insulate well and come with a high R-value. The right choice of tent depends primarily on its capacity and intended use. One-man tents, two-man tents, three-man tents or family tents are available in different versions with different vestibules, poles, entrances and various types of tent floors. Fur smaller tents, compact and wind-resistant designs like tunnel tents or dome tents are especially popular. Camping tents are often larger and taller and can be found in the form of tepees and canvas tents. These have a capacity for more people. 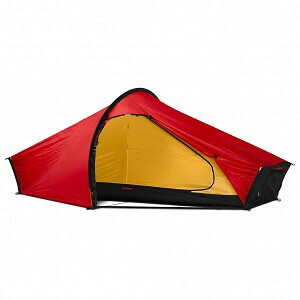 Walking tents and bivy bags for mountaineers are especially lightweight and stable. With the right tent spare parts and suitable repair kits, minor damage can quickly be repaired, even when you're out in the countryside. The perfect outdoor kitchen contains a camping stove, food and some dishes. When camping, the outdoor kitchen is normally well-equipped and as well as a camping cooker with multiple burners, there's also camping dishes, outdoor cutlery and comfortable camping furniture. 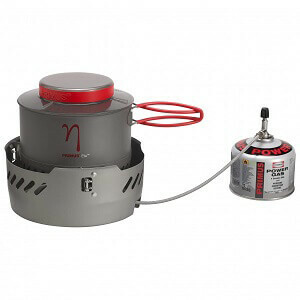 When walking or mountaineering, the outdoor kitchen is usually somewhat more light and compact. Lightweight walking food, which is freeze-dried and has a very long shelf life, can be carried easily and provides plenty of energy after a tiring day. With extremely minimalistic and powerful cartridge cookers or storm-proof stoves, a hot outdoor meal can be prepared even in the smallest of spaces and in any weather. A spork acting as a spoon, fork and knife is the most popular and often the only outdoor cutlery item. The importance of functioning lighting when camping or hillwalking is often noticed only when you have no lamp or batteries. While a good LED torch is enough at base camp, head torches are a huge advantage when you're out in the sticks, because it keeps both hands free. So head torches are perfect for jogging, trail running, hillwalking, walking and mountaineering. High-quality headlamps are resistant to splashing water or even heavy rain depending on the protection class. Waterproof torches are best for outdoor use and can withstand any challenge. As a reading lamp in the tent or for the campsite, a simpler design with less range is enough. LED lanterns or torches with a red light offer addition options for outdoor use. 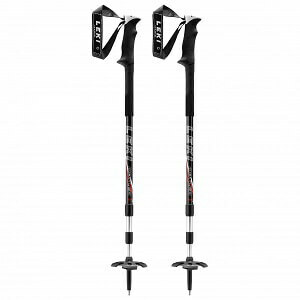 LEKI poles are some of the most well-known and popular walking poles for hikers. Telescopic poles and ski touring poles from other companies also offer great solutions and innovative systems. Most walking poles are made of lightweight aluminium or carbon. Both carbon poles, as well as aluminium poles are available in folding or telescopic poles with twist or clip closure. Walking poles and mountaineering poles are usually adjustable in a certain length range. To find the perfect trekking pole for you, you should calculate the required pole length for your body size. The possibilities for expanding your individual outdoor gear collection are almost limitless. Some outdoor utensils are very helpful and useful, whilst others serve more for entertainment. How much storage space and weight you want to allocate for additional equipment depends, of course, on whether you are at a campsite, a mountain hut or a bivouac place in a vertical rock wall. While travel guide books are more likely to be found on camping tables, heart rate monitors belong to sporty trail runners, cyclists and mountaineers. Some hikers won't go without their own hip flask during their hikes and the famous Swiss pocket knife with its versatile and helpful range of uses will be found in many touring and travel backpacks. Hydration systems and hydration bladders in rucksacks are used by many outdoor enthusiasts, walkers, trail runners and mountaineers. But classic stainless steel, aluminium or plastic water bottles still remain popular. With bright children's bottles and elegant titanium flasks, there's the right water bottle for every taste and budget. Special geocaching devices or individual hiking accessories like a compass, walking maps or waterproof stuff sacks offer countless possibilities to customise your gear to your own wants and needs - whether you want to have everything at hand, or want to travel ultralight, with minimal gear.